Who Is This Babe So Lowly? Words: Rev. W. D. Springett, D.D. But cradled in cattle shed? Pettman notes: "No. 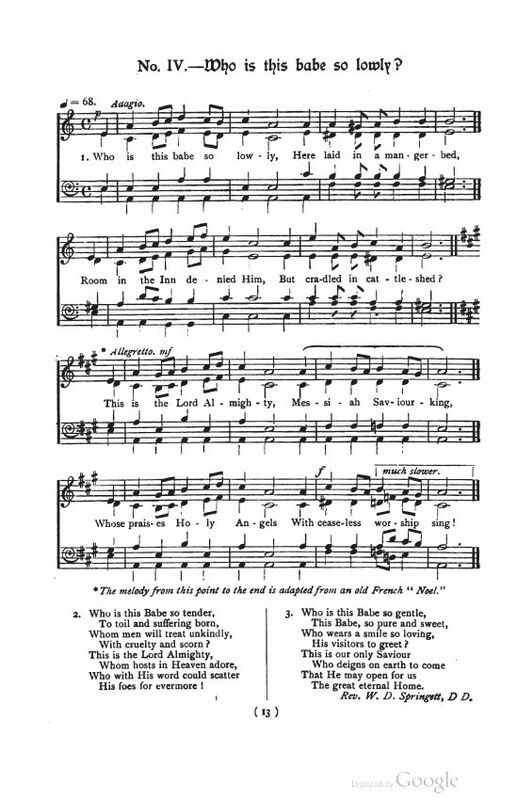 IV.—The first half (in A minor) may be sung as a duet for Trebles and Altos; all joining in the second part (in A major), care being taken to sing the cadence as directed." Rev. Springett was also active in historical and archaeological pursuits in the areas in which he lived and worked.